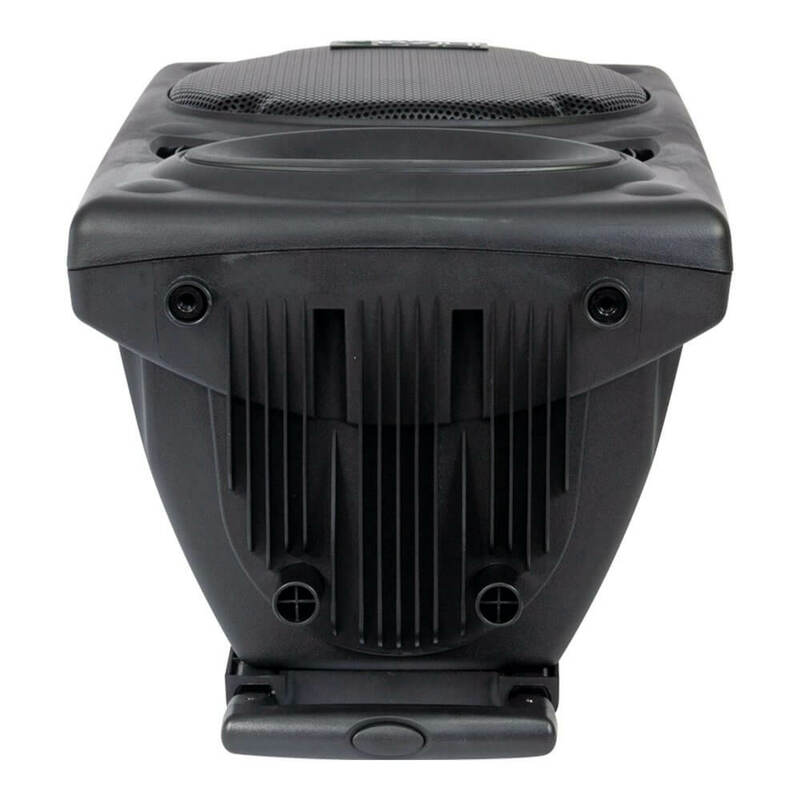 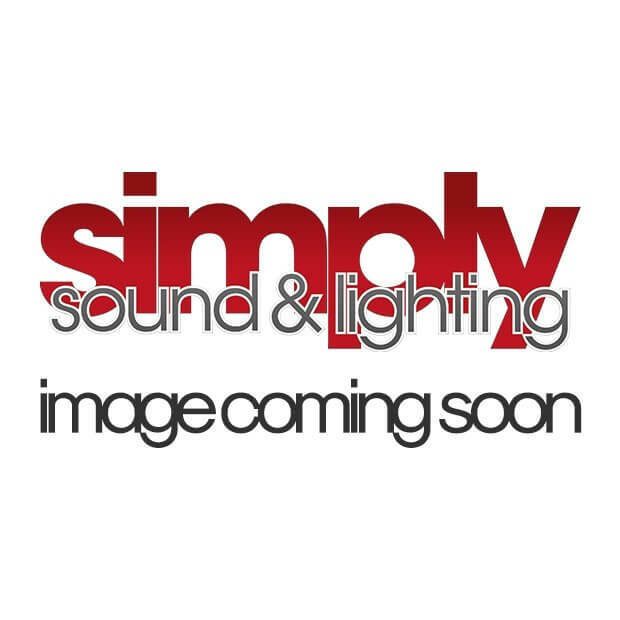 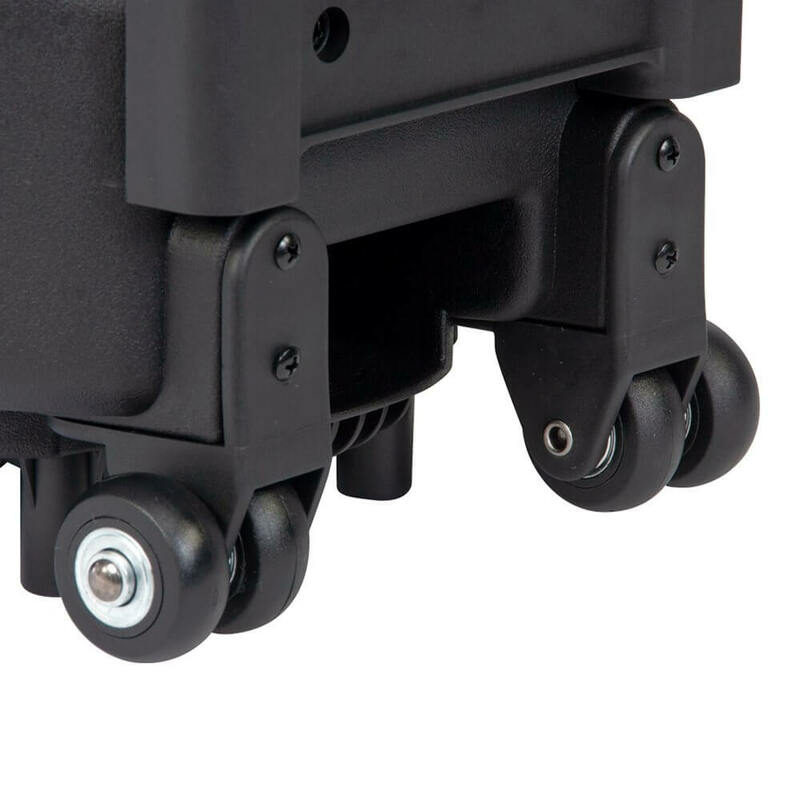 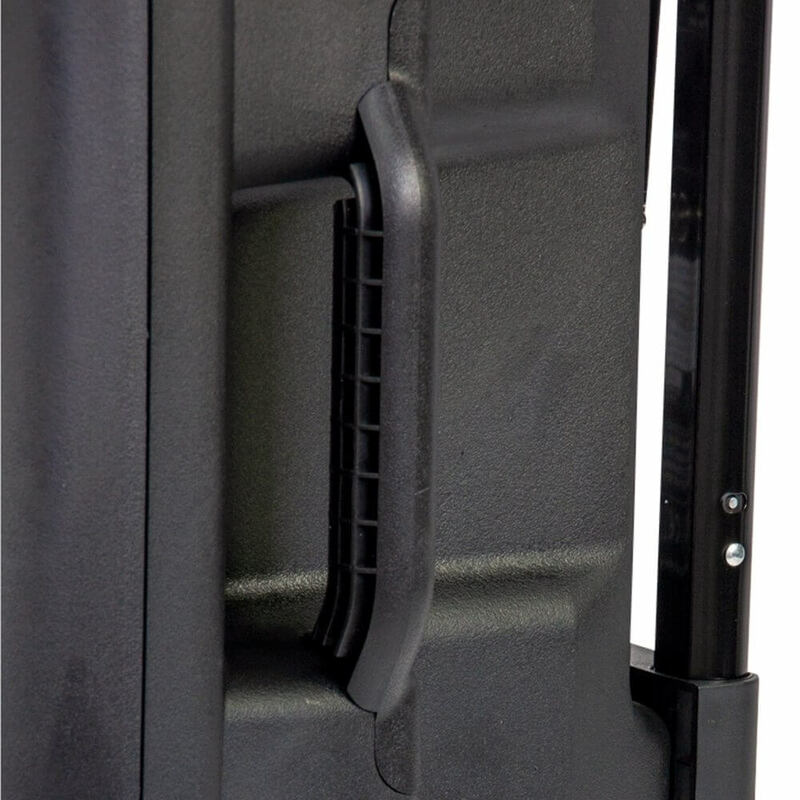 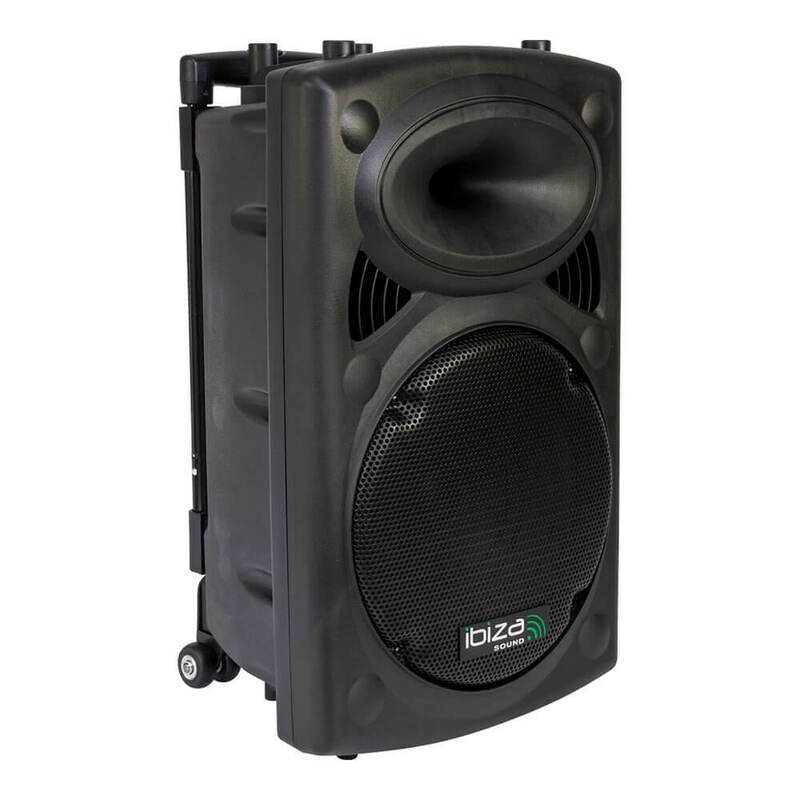 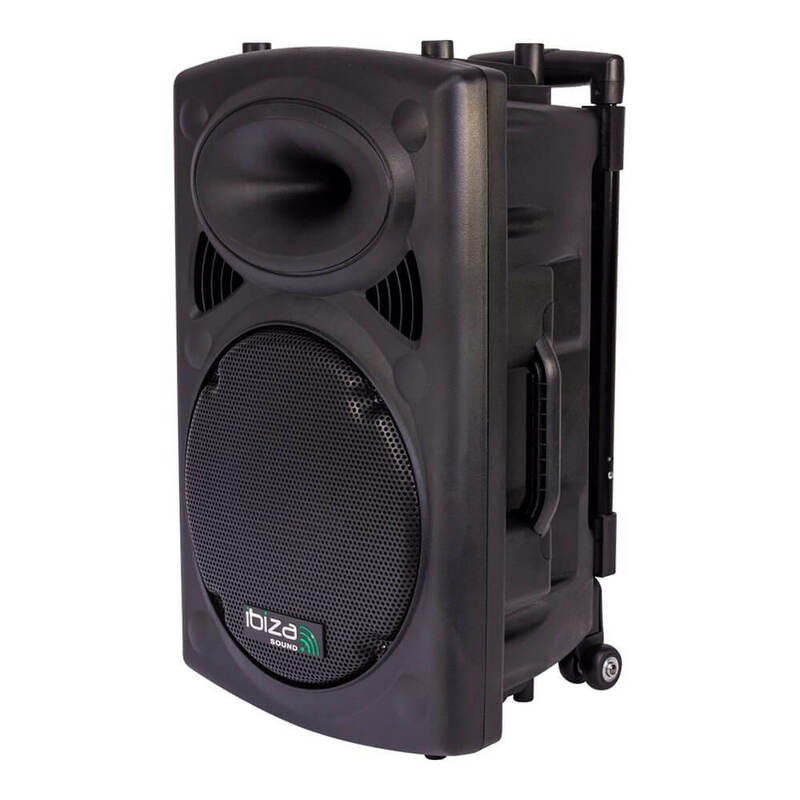 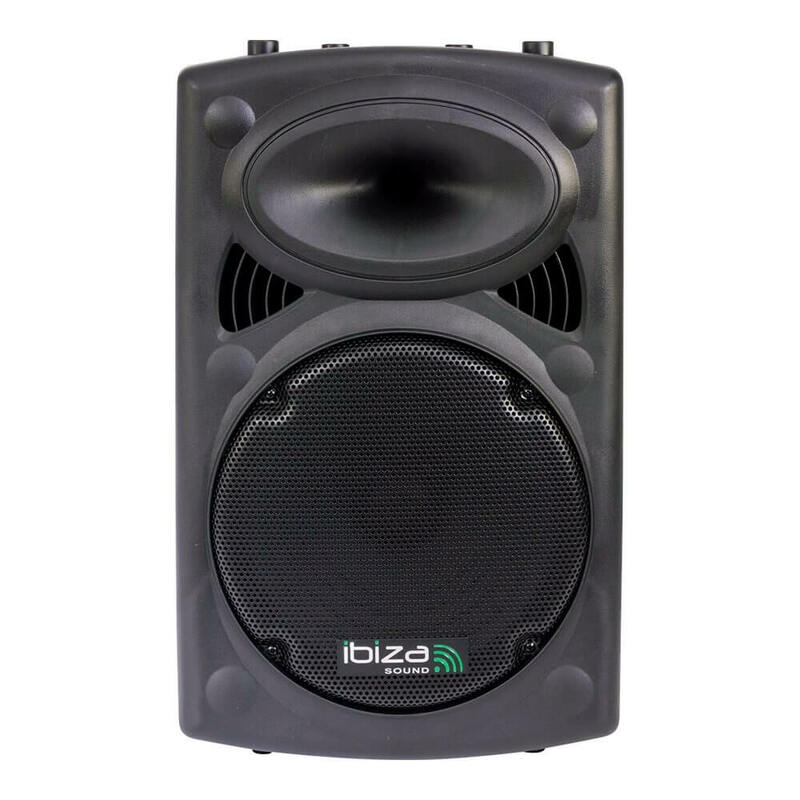 In addition to its exceptional sound quality for this product category, this portable system offers important features such as an included rechargeable battery and dual power supply (12V & 220V), a retractable handle and wheels. 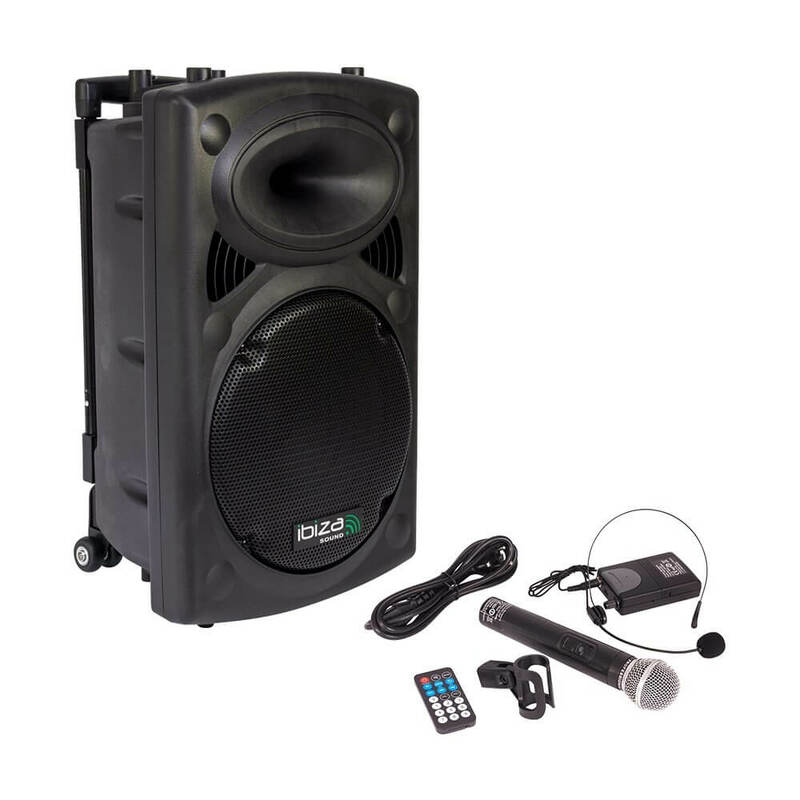 In addition to its exceptional sound quality for this product category, this portable system offers important features such as an included rechargeable battery and dual power supply (12V & 220V), a retractable handle and wheels. 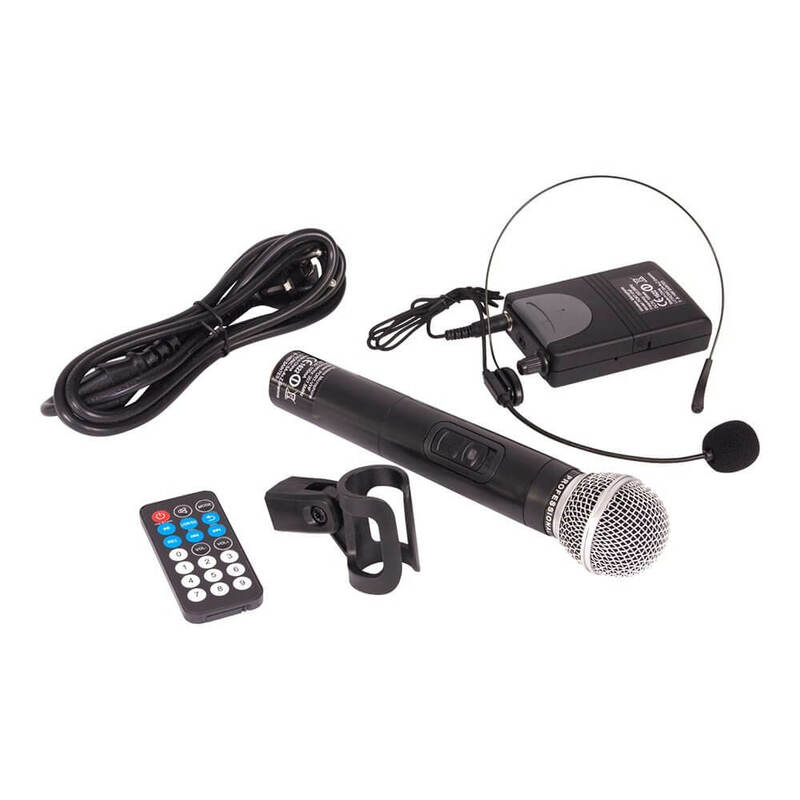 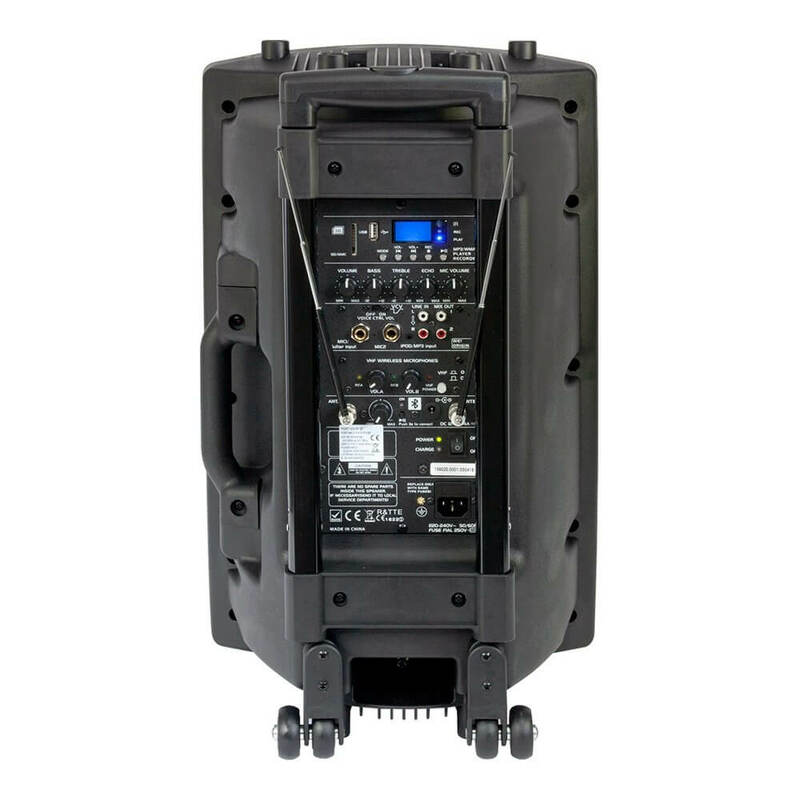 It offers total freedom of movement in any application due to the 2 wireless VHF microphones (headset and hand-held mics, a remote control and various in- and outputs to suit all kinds of sources including USB/MP3, SD/MMC & iPod ports.